The National Trust has come under fire after it reportedly ’gazumped’ Cumbrian farmers to purchase more than 123 hectares (303 acres) of land in the Lake District. 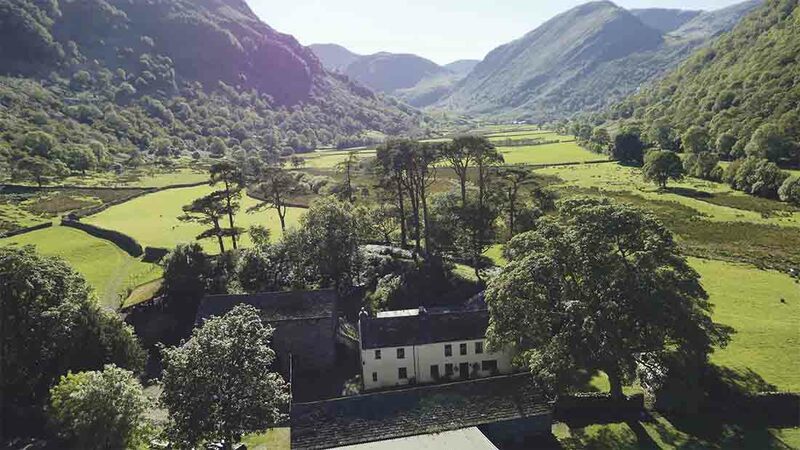 As reported in Farmers Guardian’s property page on August 26, part of the Thorneythwaite Farm, Borrowdale was sold in two lots at auction. The National Trust outbid farmers with an offer of £950,000 - £200,000 more than the guide price. The farm is part of an agricultural tradition dating back 4,500 years and currently home to a hefted flock of Herdwick sheep. Farmers took to social media to express their outrage, saying the sale had led to the loss of another working farm in the area. Cumbrian farmer, James Rebanks said: "They [National Trust] seem genuinely to not understand that in bidding like they did they killed stone dead more reasonable potential bids for the whole farm." While Mr Rebanks admitted the National Trust was a ’vitally important organisation to protect the living cultural landscape,’ he said the charity had ’lost its way’. Broadcaster Melvyn Bragg said the Trust’s acquisition was a ’nasty piece of work’ and accused its bosses of ’dictatorial bullying’. A spokesman for the National Trust said it believed it could ’look after this land in a way which benefits nature, our visitors and the local community’. "Some may have been critical. But we have also been contacted by many local farmers who have expressed a strong interest in the managing the land," said the spokesman. "Over 300 acres of land and a farm house at Thorneythwaite was put up for sale by the private owner as two separate lots. The guide price (i.e. not the asking price) for both was significant - £1.55 million, and the sale had raised international interest. "It is far from clear if there were any prospective buyers interested in buying both lots, or what any new private owner would have done with the land and farm house if they had been successful. "With the Trust there is certainty. The land will be managed using local skills, it will continue to be farmed, and the beauty of the area will be cared for forever."